Tomorrow marks Blueberry Day, a day to celebrate the little fruit that is bursting with fibre, anti-oxidants, potassium and vitamin C.
More people are now enjoying blueberries than ever before and almost half of UK households now buying blueberries when they shop. Across the last year Brits have blitzed, munched and drank their way through 32,000 tons of blueberries – that’s 400 million 80g portions. With clean eating trends reaching the height of their popularity, it’s no wonder the love of Blueberries has increased so rapidly. Only 14% of households throughout the UK bought blueberries in 2006, now almost half (46%) of shoppers buy them regularly. Not only this, the British blueberry market is now nearly worth a staggering £300m. Research of 2000 adults found that bananas are still the UKs most popular fruits with apples closely behind. The biggest growth however was berries, particularly blueberries. 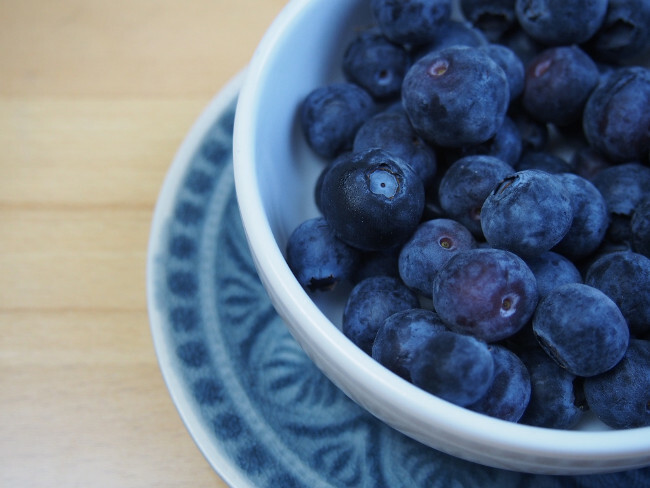 A third (32%) of 18-24 year olds ate blueberries as a child, compared to only 8% of those 55+. However, in adulthood, those 55+ are most likely to eat blueberries (74%) compared to only 53% of 18-24 year olds; indicating the ‘blueberry boom’ of recent years. Nic Walton, Senior Product Manager of BerryWorld, said: “Blueberries are fast becoming one of Brits favorite fruits and have seen big growth over the last few years. Research has revealed that less than half of UK adults manage to get their ‘5-a-day’ most days and just one 80g serving of blueberries, approximately one handful, count towards one of your daily ‘5-a-day’. Despite the massive surge in berry popularity, research also revealed that less than half (46%) of UK adults get their ‘5-a-day’ most days, despite 45% claiming they include fruit and vegetables in all of their meals. Over half (53%) believe we should be eating less processed food as a nation. Blueberry Day is all about celebrating these amazing berries. To celebrate, the Blueberry Day team will handing out free blueberries in Angel, Highbury and Islington, Kings Cross, Shoreditch and Spitalfields on Saturday 13th August.